Today is the fourteenth day that I haven't washed my hair. That's two weeks rather than my usual two days. Why would I do such a thing? Well a couple of different reasons really. When I headed off to Camp Bestival I knew that I wouldn't get a shower for a few days so I washed my hair at the very last moment, blow dried it straight, and headed off with fingers crossed. After three days without a mirror you sort of stop caring what you look like, so when I sat barefoot on the grass to listen to Lucy from Lulastic and the Hippieshake talk about 'How to stop washing your hair' I thought - 'Hey! I can do this!' Seeing as I was four days in already I reckoned I had a good head start so I just kept going. I've since sold it to the kids too. I rarely wash the boys hair with more than water so it's actually not too much of a challenge. Basically what shampoo and conditioners do is wash the natural oils out of your hair. We then use other products to put it back in, leaving our hair confused and over-producing it's natural oils. Not to mention all the chemicals entering our bodies. So have we just been hood-winked by big business to use these potions that really we don't need? And if we can get rid of shampoo and conditioner what else can we get rid of? (Answers on a postcard please). When I think of how many years of hair washing my kids have ahead of them that's a hell of a lot of unneeded chemicals being put on and into their bodies. 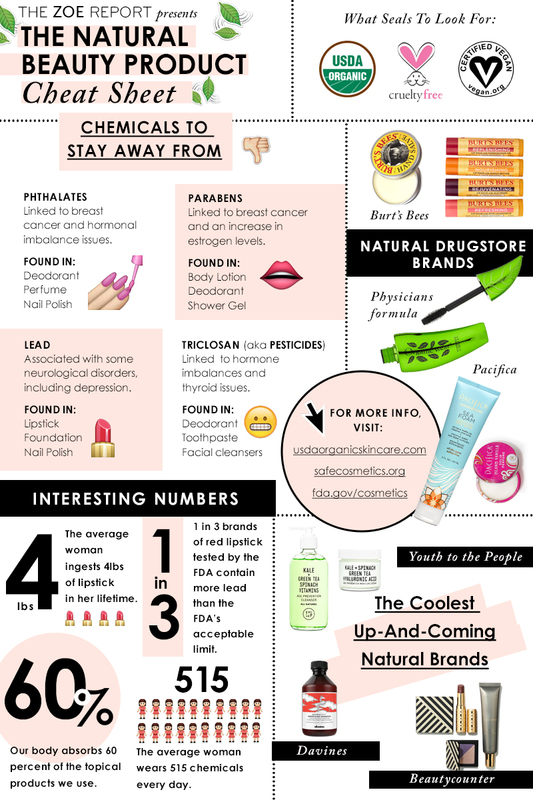 The Zoe Report has a really interesting post 'How to know which beauty products are actually natural'- which also produces the below infographic. Did you know that our bodies absorb 60% of the topical products we use? I certainly didn't. Of course if you are only using products that you would be happy to eat - such as lemon or honey then you don't have to worry about labels. But if you're thinking of dipping a toe in then this is a good place to start. No major issues as far as I'm concerned. Although when I told my aforementioned sister about it she recoiled in horror telling me that I was disgusting. So thanks for that. My hair is definitely 'waxier' than normal, as you'd expect, but nothing I can't live with for the moment and hopefully it should settle into it's own self cleaning rhythm soon and be shinier and healthier than ever. Who knew there was a whole 'no poo' (no shampoo) sub-culture going on out there? A quick Google will bring up a host of alternative shampoos and conditioners from nature that you can use. So far I've washed with bicarbonate of soda, lemon juice, cider vinegar and an egg (not all at once). It's been pretty painless and extremely interesting. 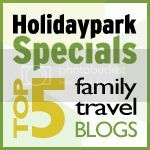 Lucy has tonnes of detailed suggestions on how best to use these and many, many others alternatives in her ebook. So that's it for now. I'll let you know in another few months if I go the distance or if I succumb to the shiny hair flick perfection of big chemical love. Want to try it for yourself? 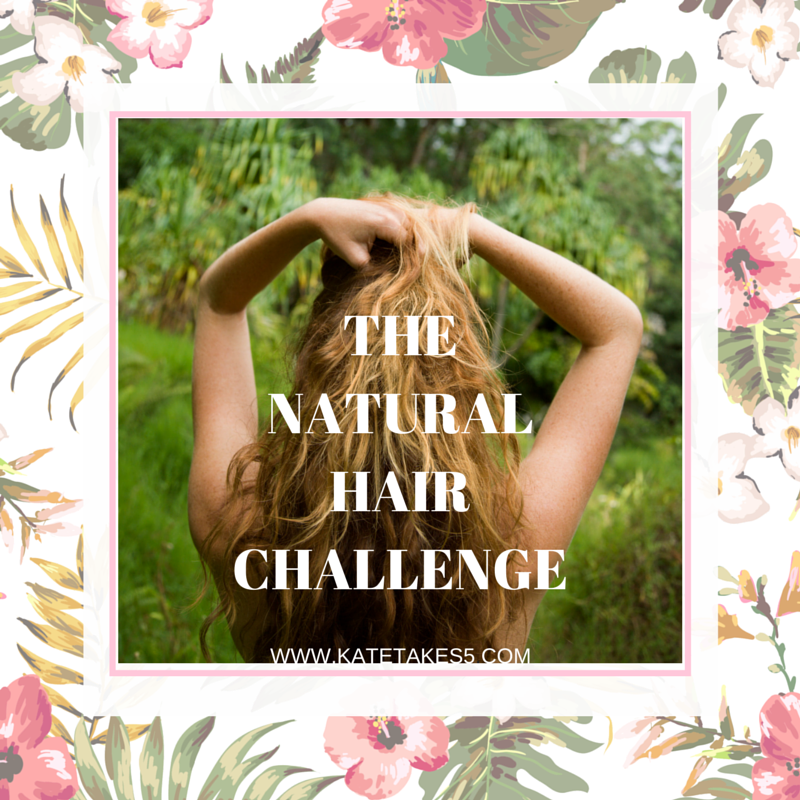 Join me at #naturalhairchallenge and let me know how you get on.